Located in Portland’s NE 28th bustling restaurant row, Tapalaya serves innovative Cajun/Creole cuisine made from scratch, with love. Our dishes are served on small-plates, tapas-style, which are great for sharing and pairing. Tapalaya has a fun, funky, and relaxed atmosphere with cheery New Orleans art adorning the walls. We use antibiotic-free meats, cage free eggs and source produce from local farms and the farmer’s market, whenever possible. Tapalaya, which is a combination of the words tapas and Jambalaya, has also launched an Asian-inspired special menu, thanks to our very own Chef Anh Luu. Our menu features Cajun/Creole classics like Red Beans & Rice and Jambalaya alongside dishes inspired by Chef Anh Luu’s Vietnamese heritage such as Boudin Sausage Eggrolls and Crawfish Étouffée with Roasted Chiles, Lemongrass, and Shrimp Paste. Anh Luu Gives You Wings! Call (503) 232-6652, or book online with OpenTable. Reservations suggested for parties of 8 or more. Please note: February 21st and 28th we will be serving our Phorrito Pop-up menu only! For any inquiries about parties larger than 12 please call us!. Born in New Orleans where she lived with her Vietnamese family, Chef Anh Luu experienced a melding of culinary cultures early in her childhood. She grew up with the flavors of Southeast Asia from her parents' cooking alongside the classic French, Spanish, Caribbean, and African cuisine of New Orleans. This delicious culinary melange inspired her years later to create the unique Asian-Cajun cuisine that she introduced at Tapalaya in Portland, Oregon in the fall of 2014. Since then, Chef Anh Luu has earned notoriety by appearing on Food Network's Chopped, countless local TV spots, and went viral with her Phorrito Pop Ups. Chef Anh Luu bought Tapalaya in March of 2017 after working there for 7 years, honing her craft. Chef Ann Luu had her first successful Phở Pop-up in the Spring of 2015. Once at home with some left over ingredients the Phởrrito was born. She grabbed rice noodles, bean sprouts, cilantro and tender eye of round beef then wrapped it all up in a tortilla with a side of Phở sauce for dipping. 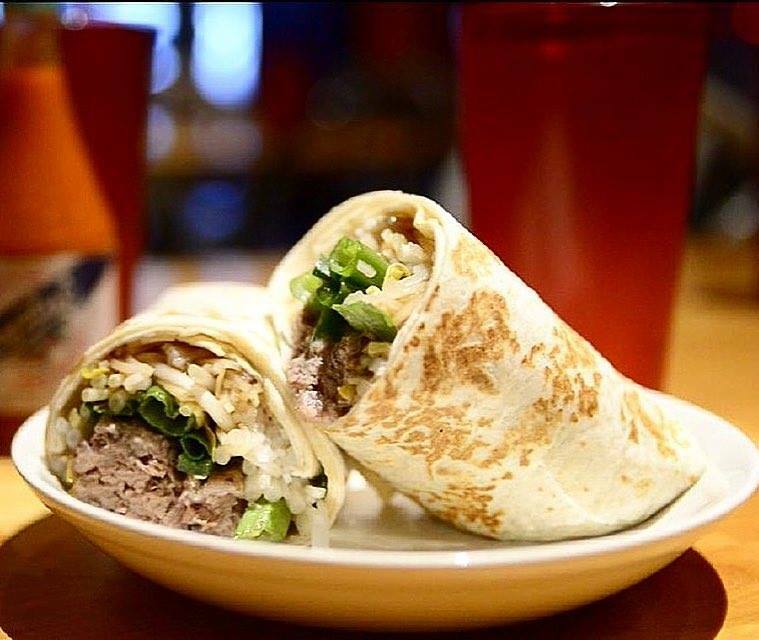 After taking a year to refine the process the Phởrrito has become our most popular pop-up dish! By visiting out Facebook and following us to hear about future Phởrrito, Phở and other Pop ups at Tapalaya.